The M-LOK Hand Stop Kit serves as a light weight, low-profile M-LOK slot index point for improved weapon control, or as a forward stop to prevent the shooter's hand from reaching the hot front sight assembly or muzzle. The kit includes one M-LOK Hand Stop, one M-LOK Index Panel, and one M-LOK Rail Cover Type 2 for the individual user to configure their kit as they desire. 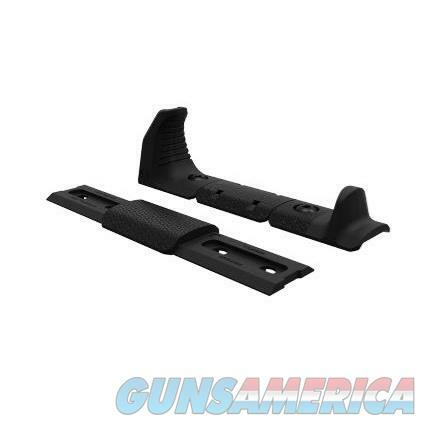 Also included in this kit is an M-LOK Hand Stop MOE Adapter for use with Magpul polymer M-LOK Hand Guards or Forends as well as other wider profile rails.